Dual-core processors are so last year, don't you think? However, there isn't anything wrong with that since the advancement of quad-core silicon is now paving the way for dual-core chips to invade the mid-range market. 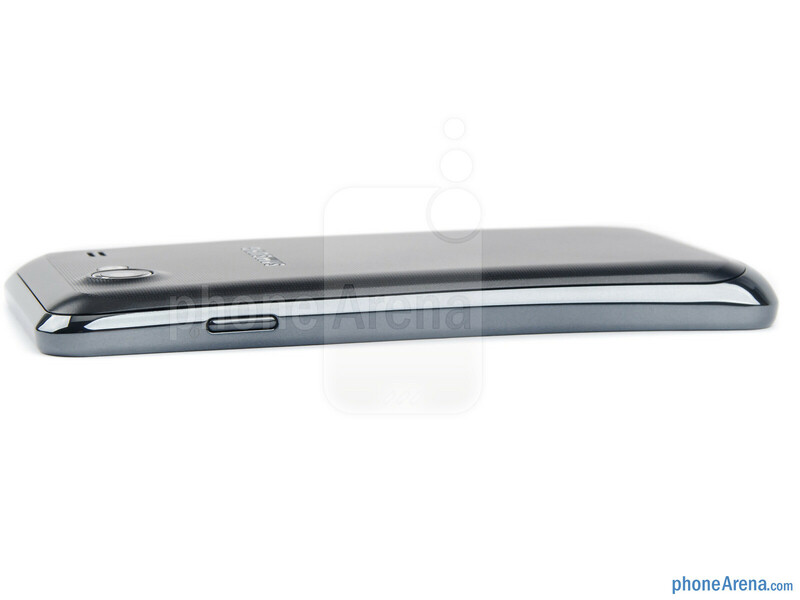 Take the Samsung Galaxy S Advance, for example: it is powered by a NovaThor U8500 chipset made by ST Ericsson with 2 cores humming at 1GHz. In addition, you get a 4-inch Super AMOLED display with WVGA resolution, 5-megapixel camera with auto-focus and LED flash, 14.4Mbps 3G radio, and 8 or 16 gigs of on-board storage. Not too shabby for an Android mid-ranger, we must agree, but it is the smartphone's real-life performance that we are most interested in. That said, let us fire it up and see what the handset is capable of. 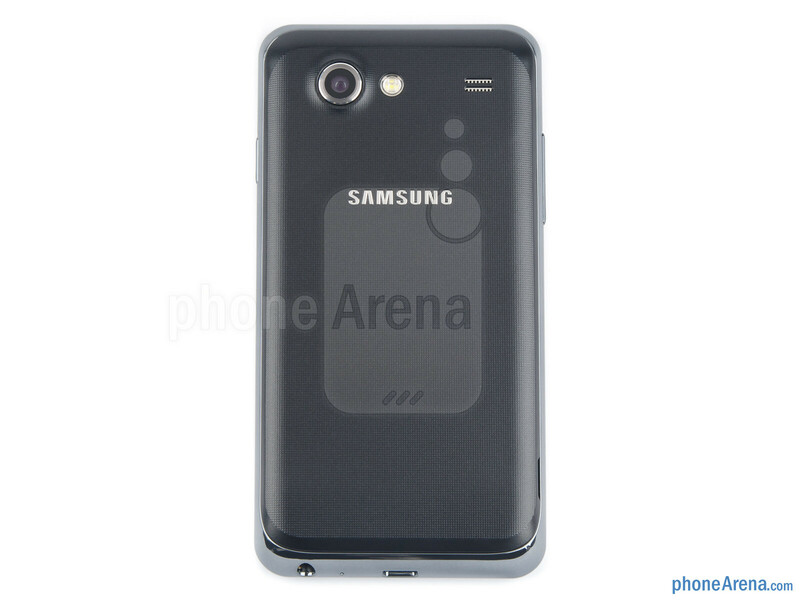 Upon holding the Samsung Galaxy S Advance for the first time, we noticed that it sports more than a few design cues present in other Samsung devices, such as the Galaxy Nexus. And that, of course, is a good thing as it adds a dose of premium feel to an otherwise mid-range device. On one hand, we have a curved glass display meant to follow the shape of the user's face more naturally. On the other, the fine texture on its back feels nice to the touch and adds a bit of extra grip. Furthermore, it is slightly thicker and heavier at the bottom, which makes it a bit more comfortable to grasp. Sure, the handset may be made entirely out of plastic, but thankfully, that doesn't spoil its otherwise pleasing looks too much. 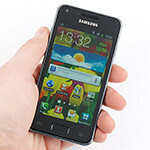 You can compare the Samsung Galaxy S Advance with many other phones using our Size Visualization Tool. 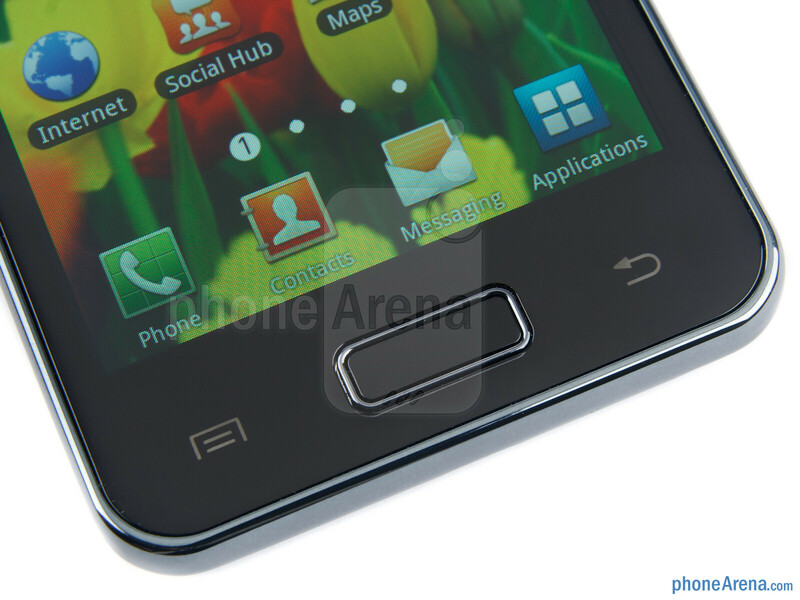 The outlay of the three Android buttons located under the smartphone's display is familiar as well: a big physical home key is located in the middle, accompanied by two capacitive buttons for the menu and back functions. Fortunately, the capacitive buttons are not prone to accidental presses. Last but not least, the volume rocker and power key, which reside on the smartphone's left and right side respectively, respond with an excellent click when pressed. 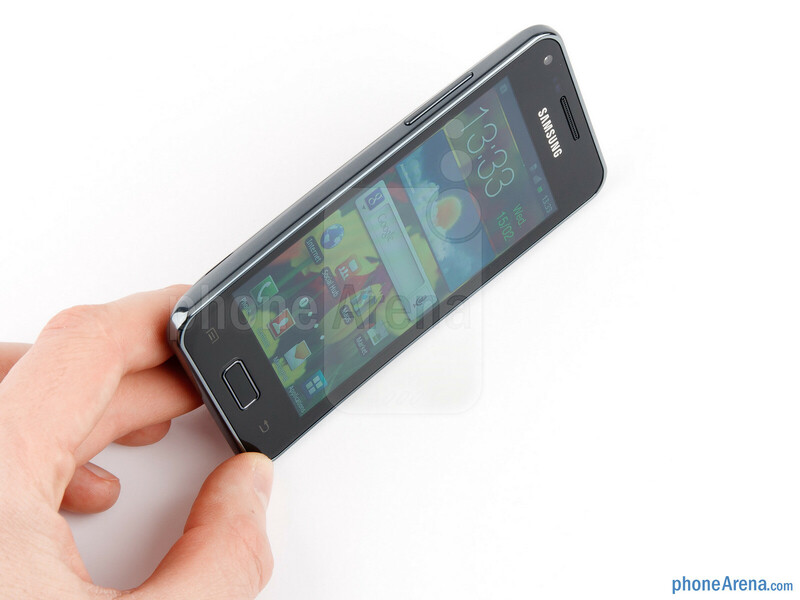 The 4-inch Super AMOLED display on the Samsung Galaxy S Advance has a resolution of 480 by 800 pixels and uses a PenTile pixel arrangement. When HD smartphone displays are concerned, that shouldn't really make much of a difference, but on this WVGA display, small text appears slightly jagged, but not to the extent where it gets annoying. Looking at the good side of things, the display exhibits bright, punchy colors and high contrast levels, just like the case is with today's AMOLED displays. Also, it is bright enough to be used comfortably in broad daylight. I like this phone. 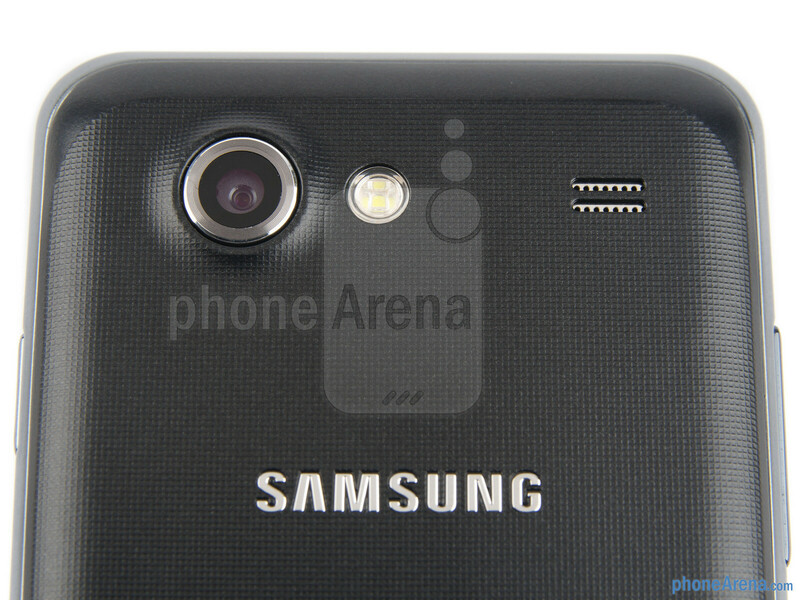 It looks like a mix between a galaxy s and a galaxy s2. 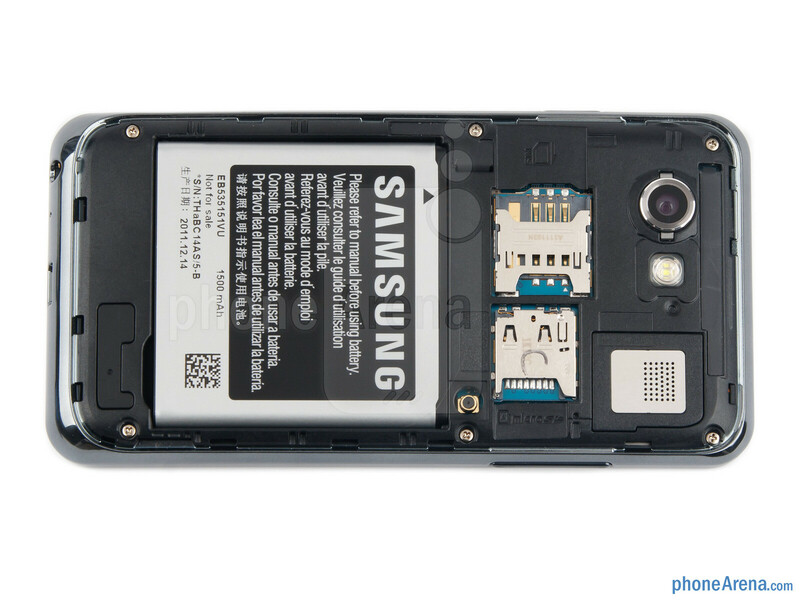 Just another Samsung device... Nothing special. Sony rules when it comes to midrange devices. i prefer this phone, cause Sony (Ericsson)'s android phones do not support native video call / video telephony. If I choose this I can buy this next month meanwhile if I stick to my plan I can buy SGS II I9100 2 months from now.. ahh so excited but not enough cash for now.. what should I pick that is good for 3 years usage? One word: boring. 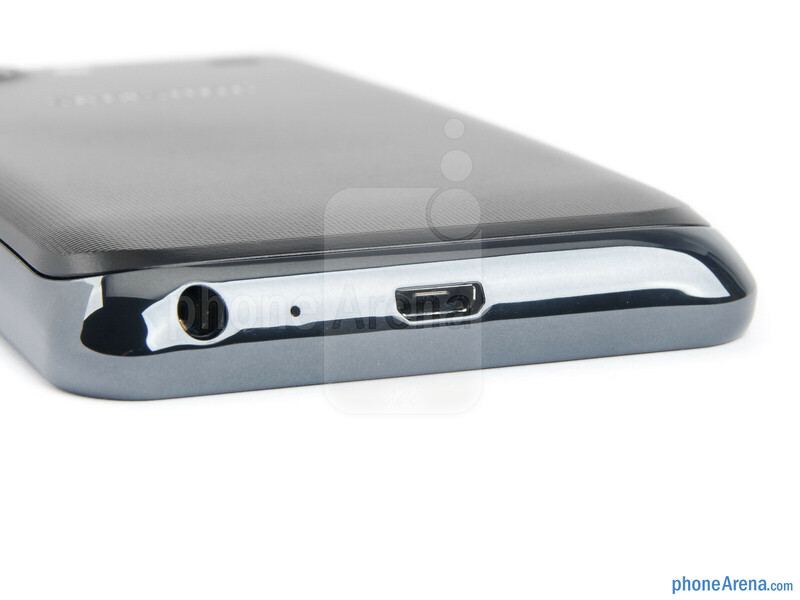 The Xperia sola seems like it would be a better choice. 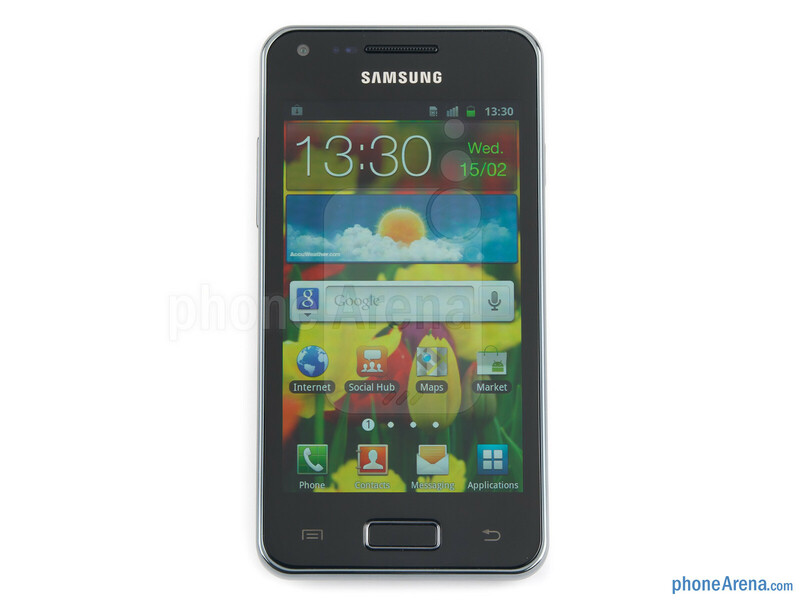 This is a very well around device from samsung.. The NovaThor chipset,decent battery....the nice curved Super AmoLED display.... Its funny that people are actually comparing to that Xperia SOLA whose battery dies after 5-6 hours of heavy use. This is the last variant of the original Samsung Galaxy S and is very much powerful than the original one, The Samsung Galaxy s2 even had a HD screen, and let's see how the variant of the Galaxy S III will be after the phone starts aging, as every phone does..!! That would be really incredible!! plz dun buy this phone its real fact that i am facing now. i bought this in bangalore snageetha mobile indira nagar on jun 2nd on the next day i am facing problem that when battery charge is at 25% and we put for charging its get switch off and after that also it wont get charged. i fed up with the problem and i given to samsung service center twice they said no problem we had upgraded the software, but for me till now the same problem exists. last week i given to another samsung service center they checked and told main board (i.e mother board) has to be replaced. and they don't know when they when they will get the spare part. within one month my mobile is sleeping for 15 days in service center for that i had paid Rs.23,000/- thats how samsung quality was and this is the first time i am trying samsung product....... subash chandra bose. plz dont buy this phone bcz of in this phone no zooming felicities is given . when i takes a fhoto we cant zoom like VGA camera.. Does this phone have usb otg or tv out? there is problem with fm. I am getting continuous fluctuation in radio where ever I am. May be due to continuous missing of radio signal by the phone. does anybody have solution for it. Really disappointing and irritating it is. I have shown it to service center. they changed earphone but problem remains. Otherwise the phone works super smooth. beautiful display. video shoot quality is also excellent (but zooming not available, I am still to fully notice its disadvantage as one of my colleagues say is that when you zoom with mobile phone camera it just crops the picture and presents bigger picture but quality remains the same, but still need expert view on that.). also regadring voice quality i personally find quality of my LG optimus much better and soothing than this one or else there may be some equalizer setting i am not getting the nack of.. expect expert advice on this too..if any. but considering all these things I'll say its a good phone for those whose priority is a faster speed of applications (for gaming) and internet, excellent picture quality (for watching movies) and who are less bothered about minute detains of finness of sound quality. 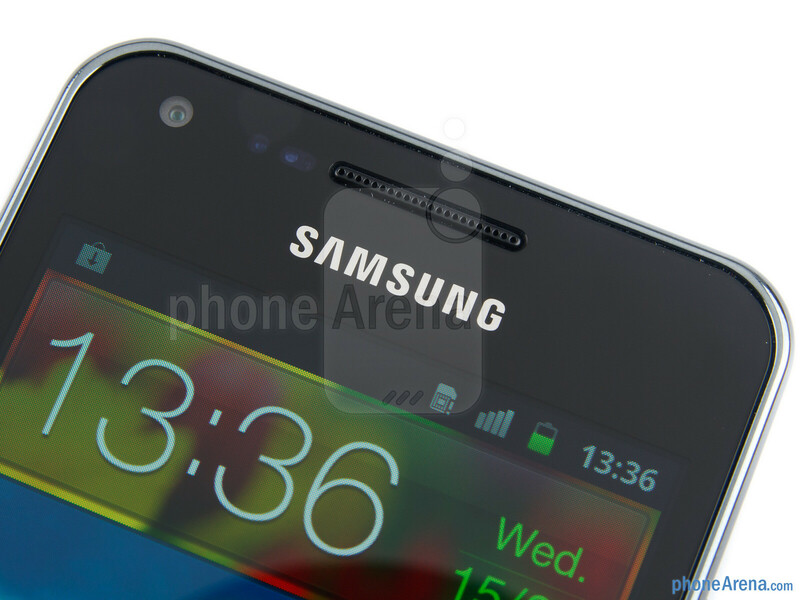 Not yet but coming soon according to Samsung.